Mere mortals will have to wait for the verdict but early reaction to the publication of a paper by physicists at the Fermi National Accelerator Laboratory is likely to set off a spirited debate among physicists about a fundamental building blog of nature. The paper hints at the existence of a previously unknown elementary particle. In its report, the New York Times even suggests the possible discovery of "a new force of nature." Any claim that big is bound to set off tremors and the debate has already been joined about what actually turned up. Christopher Hill, a theorist at Fermilab who spoke with the Times, offered up this delicious table-setting quote: "Nobody knows what this is...if it is real, it would be the most significant discovery in physics in half a century." In a teaser post he published on his personal blog, Tommaso Dorigo, a particle physicist at Fermilab, seems to throw cold water on some of the more sensational claims being tossed around. "Is That a New Massive Particle ? Is That Some Kind of Higgs?" Dorigo titled his post - and then answers his own question: writing "the answers to the questions I placed in the title of this post are "No. No." 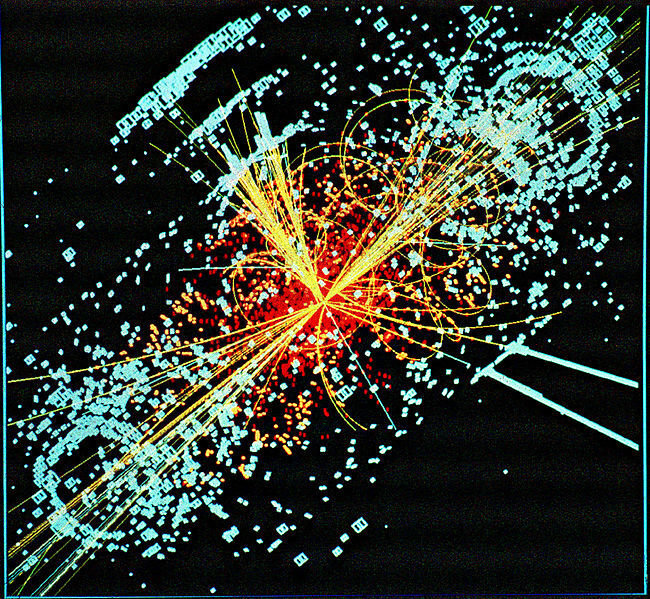 Higgs Boson is the name of a hypothetical elementary particle whose existence physicists, such as those working at Fermilab and the Large Hadron Collider at CERN, are still attempting to find. The experiments involve speeding up atoms to the speed of light before they get mashed together. Physicists say that the resulting particles - if they exist - would be the size of the tip of a needle.